Researchers put resveratrol controversy to rest with a "killer experiment"
On Saturday, I showed you some amazing quotes from Harvard researchers about resveratrol. This nutrient has had its share of controversy, so the support from Harvard Medical School is welcome news. But this team of researchers decided it was time to put the controversy surrounding resveratrol to rest once and for all. I hate to say "once and for all" in science, mainly because science is always changing. But in this case, the researchers delivered. 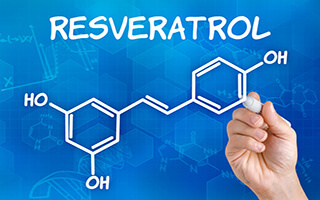 The controversy that kept nipping at their heels was that no one had proved conclusively that resveratrol was the direct reason for extending lifespan. Until now, all the links were causal. And some scientists said the studies finding these links were flawed. Most of the arguments against the studies came from the way researchers studied SIRT1 in vitro. In these studies, the researchers used a chemical that fluoresces more brightly as SIRT1 activity increases. This chemical is manmade and doesn't exist in nature. And without it, the experiments did not work. So some critics were saying "resveratrol's activation of SIRT1 was an experimental artifact, one that existed in the lab, but not in an actual animal." They went so far as to say that resveratrol's impact was "a sheer coincidence." David Sinclair, Harvard Medical School professor of genetics and senior author on the paper fought back. He said, "We had six years of work telling us that this was most definitely not an artifact. Still, we needed to figure out precisely how resveratrol works. The answer was extremely elegant." First, Sinclair and his team had to address the problem of the fluorescent chemical. In a brilliant move, the researchers surmised that the chemical might be mimicking molecules found naturally in the cell. They were right. It turns out there are three amino acids that resemble the fluorescent chemical group. One of those amino acids is tryptophan, which you probably know from the drowsiness you get after eating turkey (tryptophan is abundant in turkey). When the researchers repeated the experiment using tryptophan, they were able to activate SIRT1 without the chemical. This proved the action was natural and put to rest the first part of the controversy. Next, the researchers had to figure out how resveratrol "presses on SIRT1's accelerator," said Sinclair, to prove resveratrol was responsible for the recharging effect. So the team examined about 2,000 mutants of the SIRT1 gene. After a lot of research, they identified one mutant that completely blocked resveratrol's effect. That opened the door to proving that resveratrol is in fact the agent causing the mitochondria to recharge. Using this mutant, the researchers tested resveratrol's impact on muscle and skin cells. They replaced the normal SIRT1 gene in these cells with the "accelerator-dead mutant." This let them test normal cells against the mutant cells to see if resveratrol worked directly on SIRT1 or on one of the thousands of other proteins in a cell. As expected, the resveratrol revved up mitochondria in normal cells, but not the mutant cells. Of course, the researchers are looking for ways to patent resveratrol in a new drug. But there's no need for you to wait for the drug. 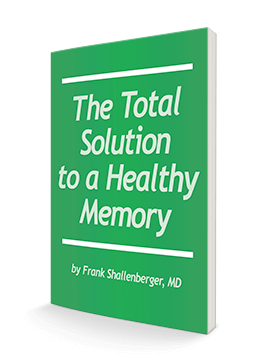 Resveratrol is readily available and plenty powerful enough (as these tests prove) to recharge your mitochondria and fight off diseases associated with aging. You can order the resveratrol product I recommend by following this link.